The Casio AT-5 Oriental Keyboard comes with a range of functions to satisfy every requirement, and proves itself as a multi-functional creative keyboard with its multitude of oriental rhythms. 4 built-in Oriental tones include the "oud", "qanun", "nay" and more. A total of 83 built-in Oriental accompaniment rhythms covers everything from traditional to modern music. 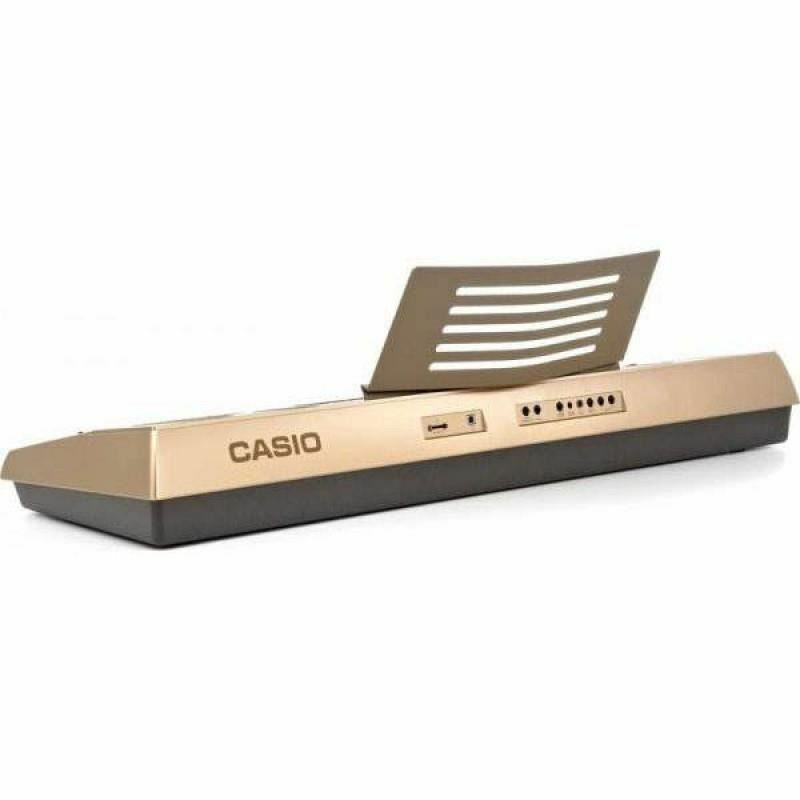 High-quality sound supports both Oriental music performance and composing. The Song Sequencer provides 16 tracks, plus one system track that supports recording of up to five songs and a total of approximately 30,000 notes. Each individual musical instrument part can be recorded to a different track for real multi-track recording capabilities. Up to eight tracks (drum, percussion, bass, chord 1 through chord 5) can be edited to create original accompaniment patterns. A full selection of editing tools includes event insert, event delete, event copy, quantize, and more. 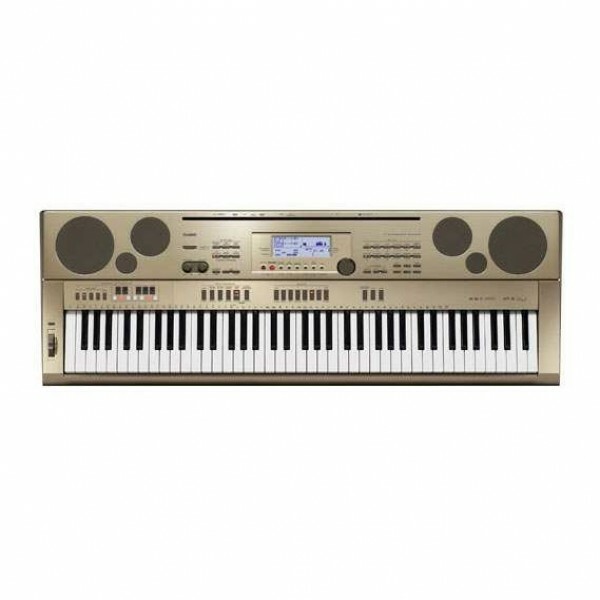 Memory is provided for storage of up to 100 different user rhythms, which can be recalled with the touch of a key. Gitar Cort GA5F ZR Natural GlossyGA5F-ZR menjadi salah satu dari dua varian GA5F, GA5F menawarkan dalam berbagai model dengan bagian spruce yang solid dengan bagian belakang dan sisi yang kokoh dengan kayu rosewood madagascarFitur:Fishman Presys EQMenawarkan fleksibilitas sonik serta kenyamanan untu..
Yamaha SLG-200N Nylon String Silent GuitarThe SLG is the perfect instrument for practice, travel or stage use – any time an acoustic guitar just won’t do. Near-silent performance makes discrete practice simple, Yamaha’s exclusive SRT-Powered pickup system gives incredibly natural acoustic tone throu..
Yamaha Revstar RS820CR Electric Guitar OverviewDesigned to race from coffee shop to coffee shop on the streets of London in the '60s, Café Racer bikes were high-performance racers stripped down to their bare essentials, but still showcasing the style of their owner. The RS820 captures th..